If you're keen to check out London's excellent music scene but you're traveling on a tight budget, don't fret. There are tons of great venues across the city that offer free gigs, recitals, and scheduled performances. The Southbank Centre offers an incredible amount of free music and entertainment. The Clore Ballroom at the Royal Festival Hall is a great venue as it's viewable from the bar and shop so you can watch a bit of the action, grab a drink, come back and watch some more. It's all very relaxed here. There are free lunchtime music events at the Royal Festival Hall every Friday in the Central Bar. Expect to hear classical, jazz, folk, and world music sessions. St. James's Piccadilly was designed by Sir Christopher Wren (the architect behind St Paul's Cathedral) in 1684 and is often named as his favorite church. Free lunchtime recitals take place at 1:10 pm on Mondays, Wednesdays, and Fridays and last 50 minutes. They're all free to attend but a donation is suggested. Kings Place opened in October 2008 and sits under the offices of the Guardian newspaper. The ground floor features an art gallery dedicated to sculpture next to the main entrance plus cafes, restaurants, and a waterside terrace. It's not a view you expect in King's Cross—canal barges moored in Battlebridge Basin. And there are ​regular free events. St Olave's Church in the City of London is a small medieval church, where Samuel Pepys (London's 17th-century diarist) and his wife Elizabeth were buried. It was badly damaged during the Second World War and fully restored in the 1950s. St. Olave's is a peaceful place to listen to music, with a lively lunchtime recital series. Lunchtime recitals are held on Wednesdays and Thursdays. There are regular free lunchtime concerts at St. Martin-in-the-Fields in Trafalgar Square. This historic church, designed by James Gibbs and built in 1726, has free lunchtime recitals on Mondays, Tuesdays, and Fridays. 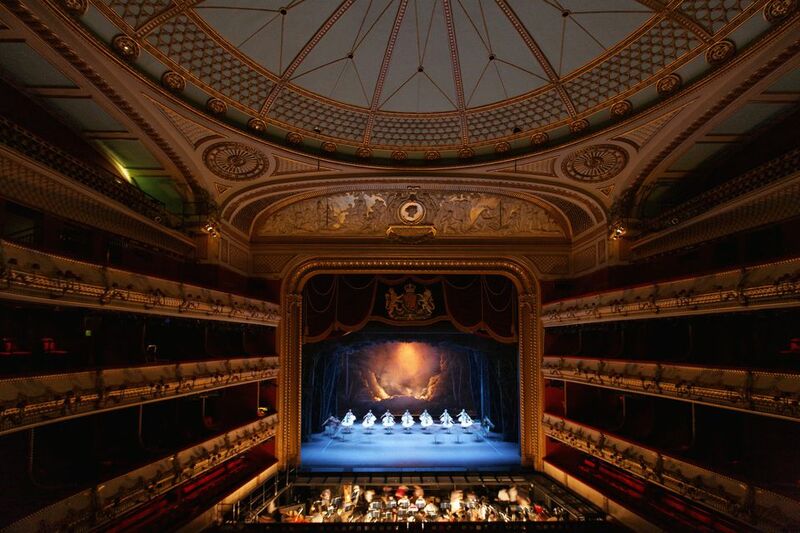 The Royal Opera House offers free lunchtime recitals on Mondays at the Swiss Church on Endell Street. You can book online from 9 days before the event. The Royal Academy of Music also has many free concerts as does the Royal College of Music. Union Chapel is one of the best places to see live music in London. Check out the venue's Daylight Music series to see free 'mini gigs' every Saturday afternoon throughout the year. Rough Trade East near Spitalfields Market is a hipster music store and record label that hosts regular free live gigs by established and up and coming artists. Many bands and performers play here when promoting new work so you'll often find them signing records or taking part in Q&As. Keep an eye out online for upcoming gigs to apply for tickets. Trafalgar Square provides a stage for cultural, educational, artistic and sporting events, ceremonies, and festivals. Most events are open to everyone. You'll regularly hear free live music in Covent Garden Market. Go into the middle of the market and look down to the lower level to see who's on.